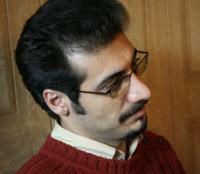 Reza Valizadeh, a journalist and blogger, was the object of a complaint from the Iranian president's office and was detained on November 2007. Several Iranian blogs and websites argue the main reason he was arrested was because he revealed that Ahmadinejad's security staff bought four dogs from Germany for about $150,000 each. He was released after a few weeks of detention.